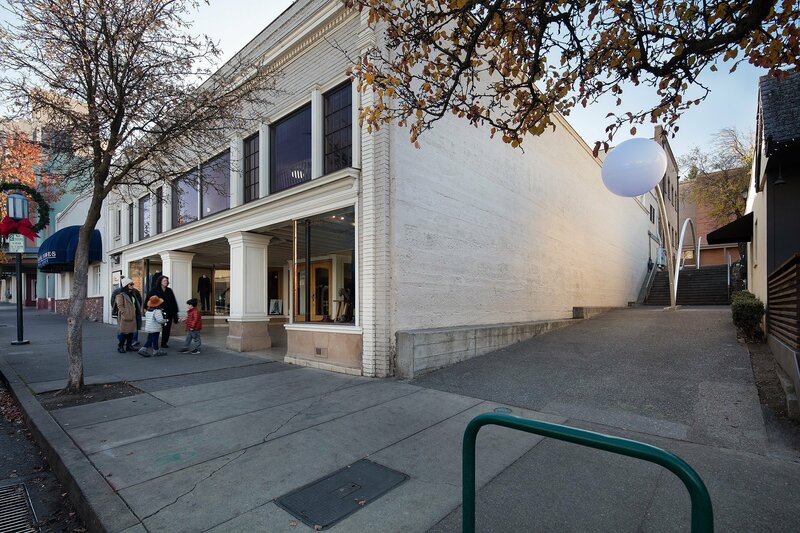 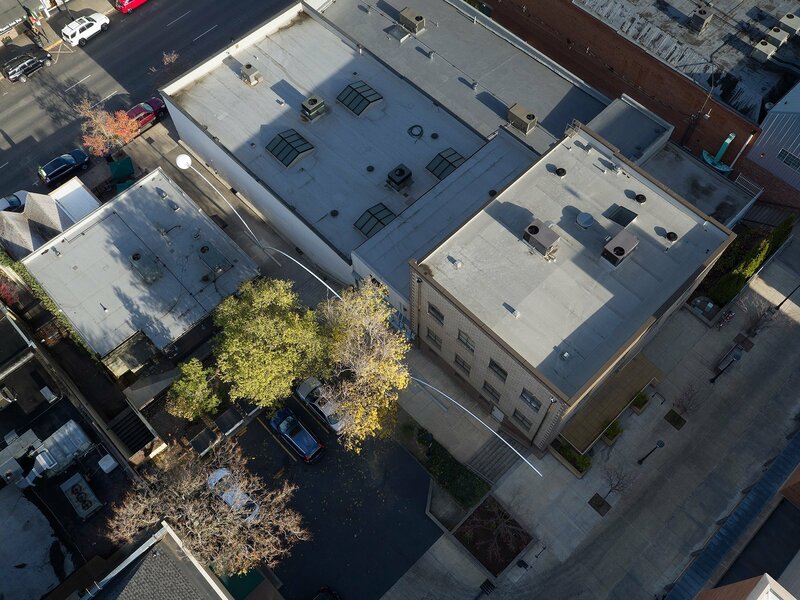 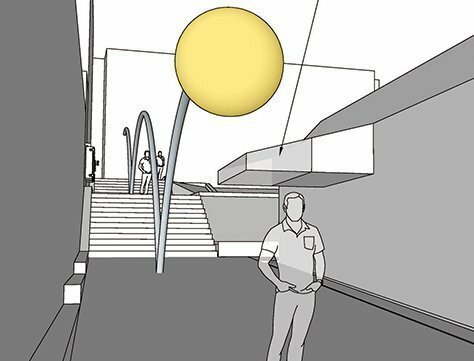 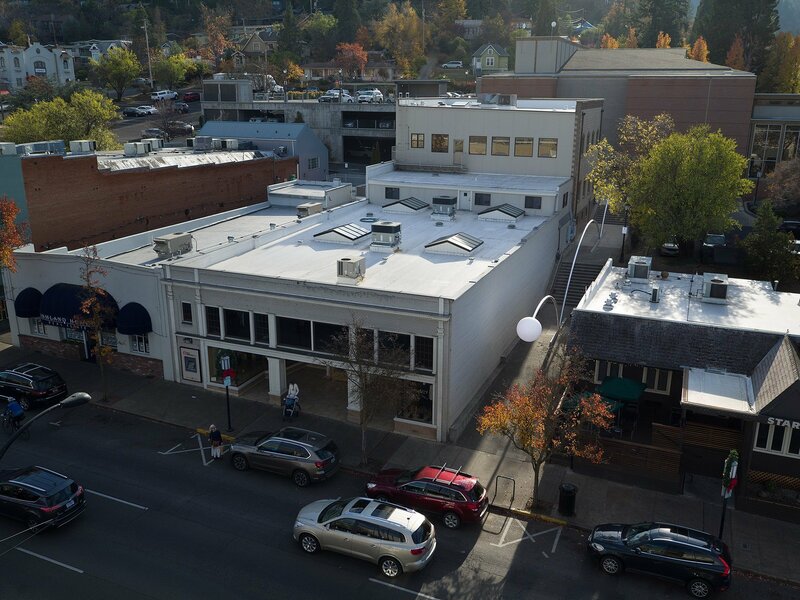 Seeking to establish a distinctive landmark compatible with downtown Ashland, the City of Ashland Public Arts Commission awarded Gordon the task of transforming a barren pedestrian corridor linking Main Street to the Oregon Shakespeare Festival theater campus and parking structure into an active and vibrant location. 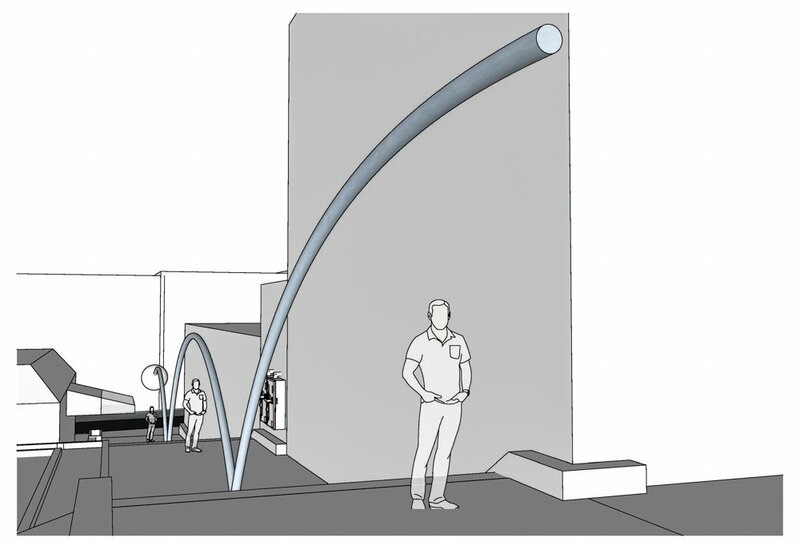 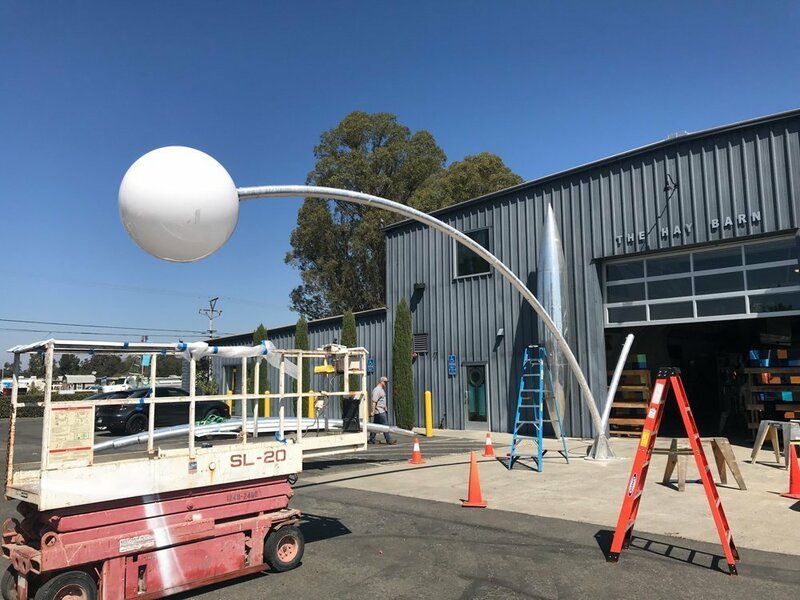 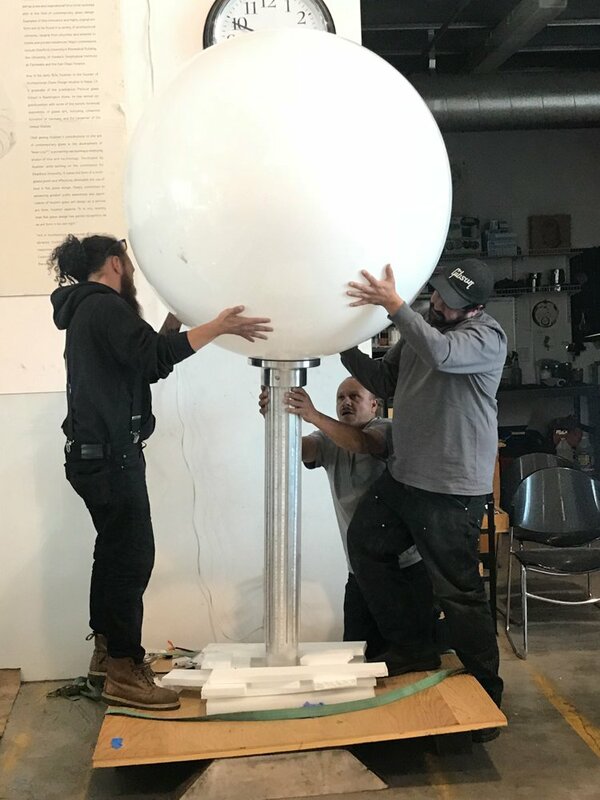 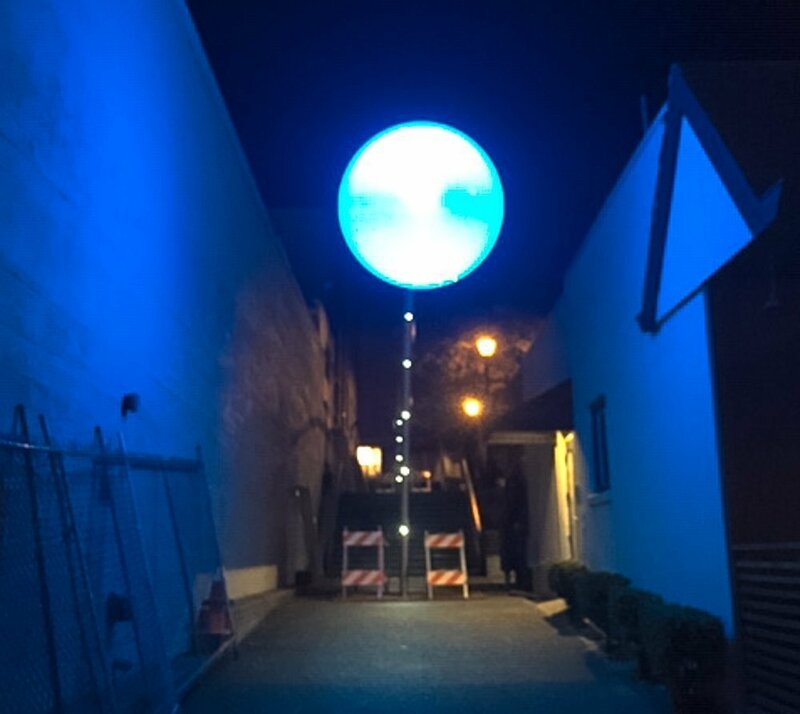 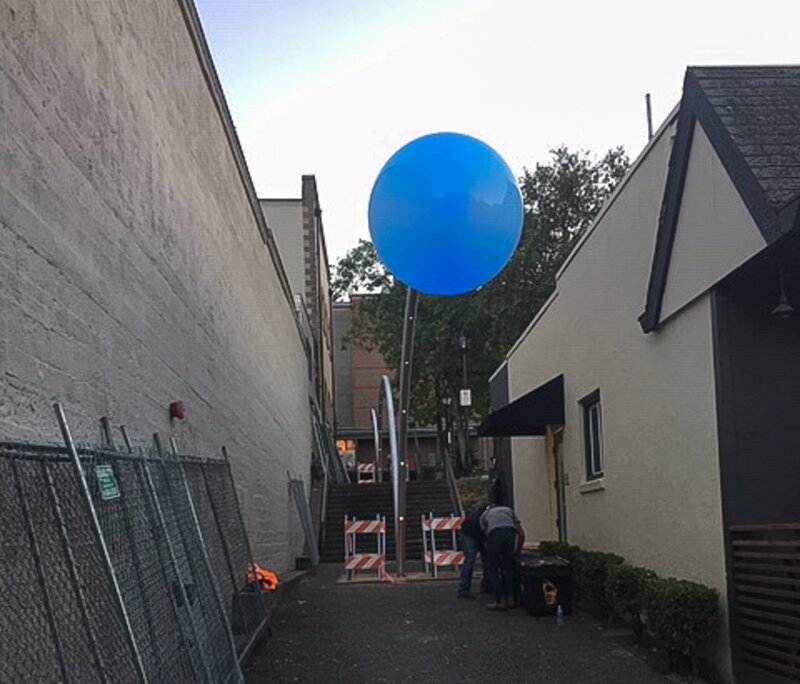 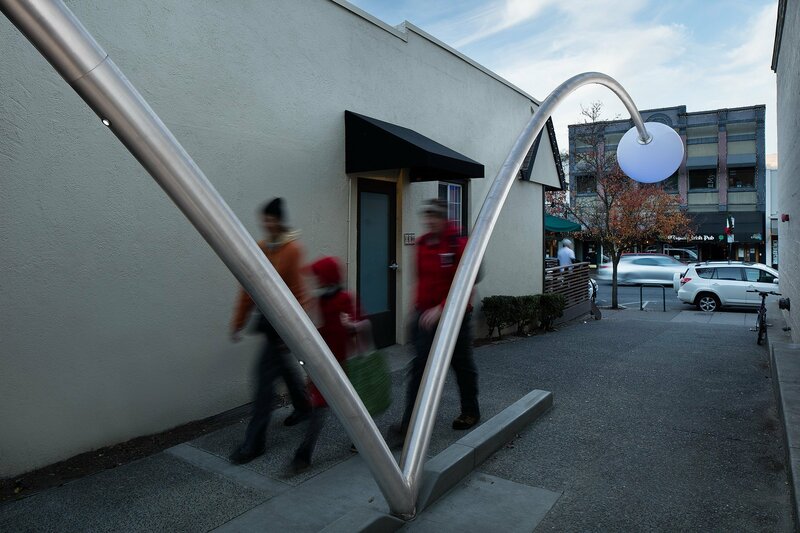 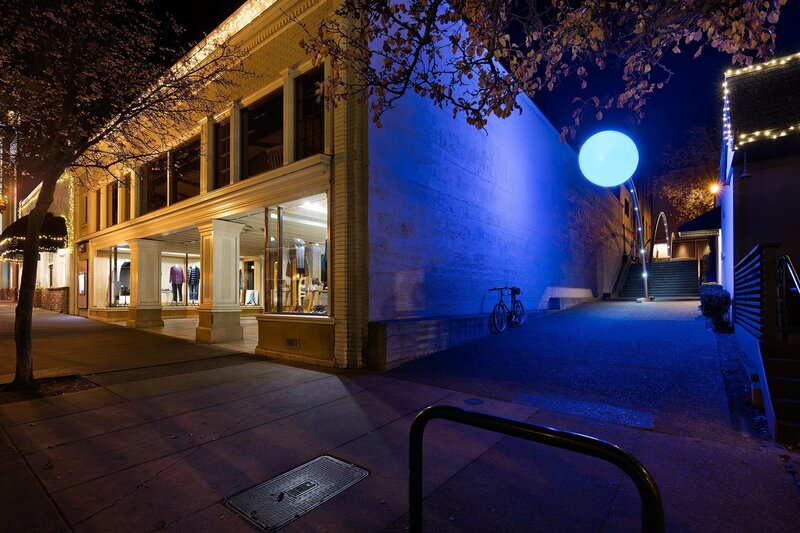 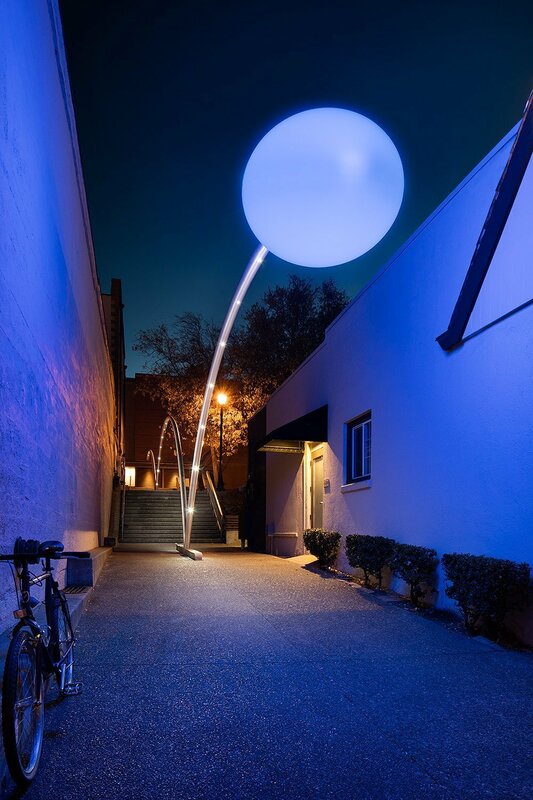 After several meetings with community representatives, where Ashland residents could voice their concerns and engage in discussions with Gordon regarding the work, Velocity was erected – a 126-foot long and 10-foot high single sculpture of a bouncing ball ending in a 4-foot diameter acrylic ball containing a programmable color shifting LED light. 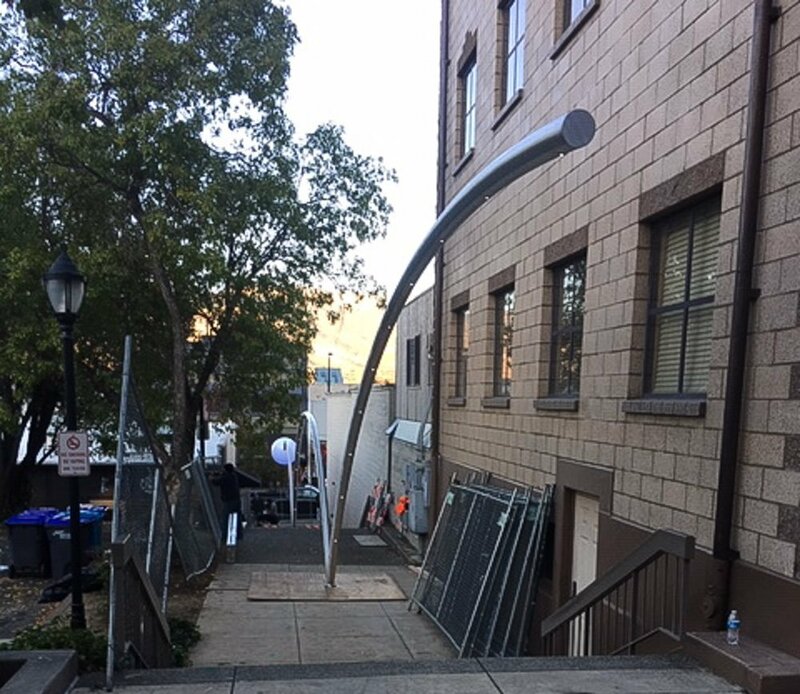 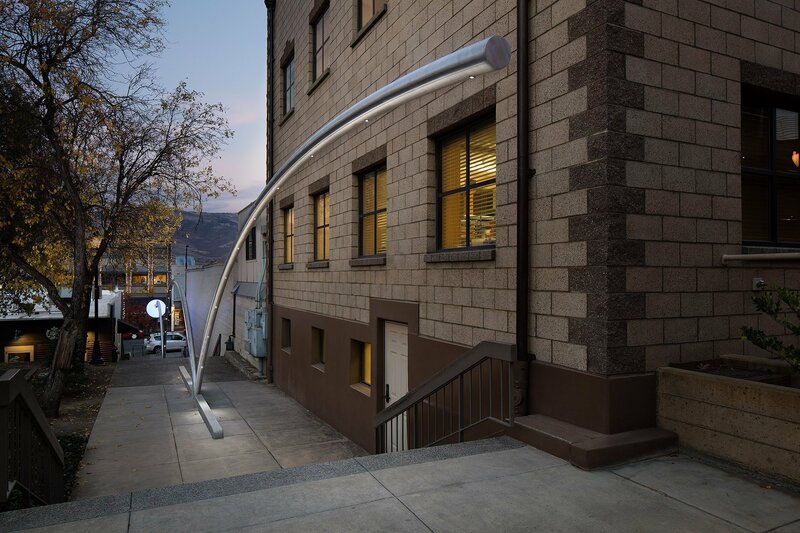 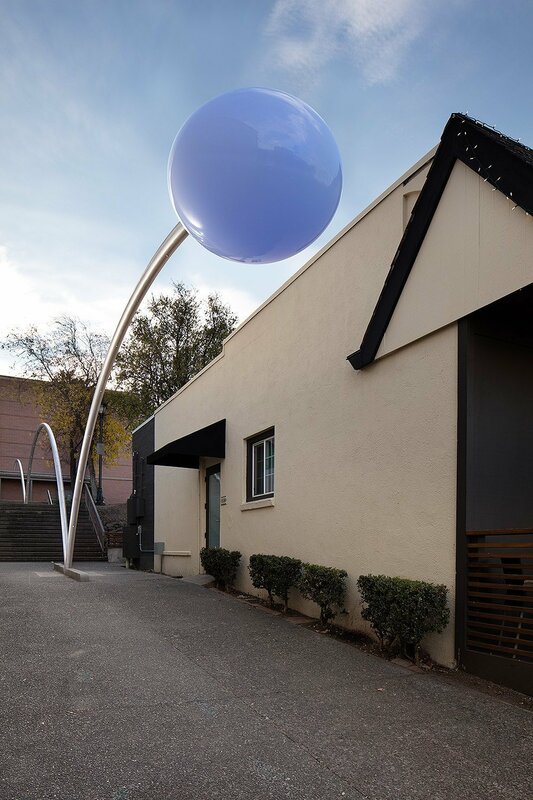 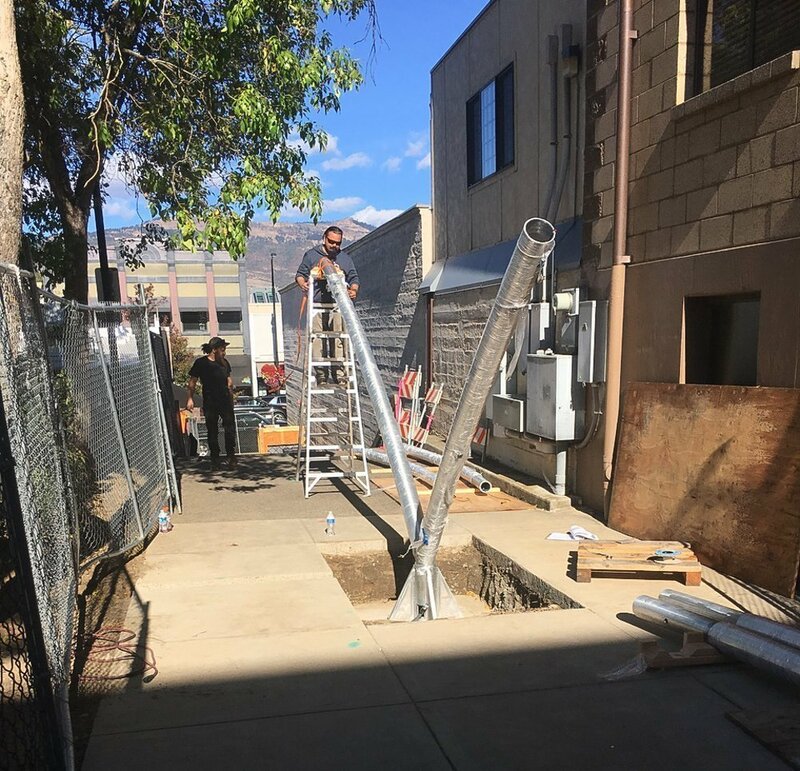 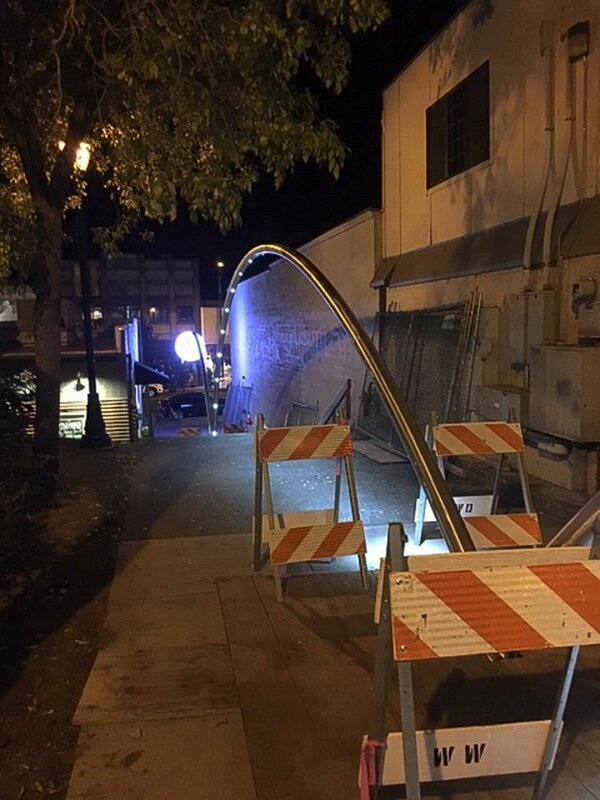 This sculpture not only brings light and movement to the previously desolate location, but also acts as a wayfinding marker for visitors of the renowned Oregon Shakespeare Festival, a regional repertory theater in Ashland that draws over 400,000 visitors each year to this location. 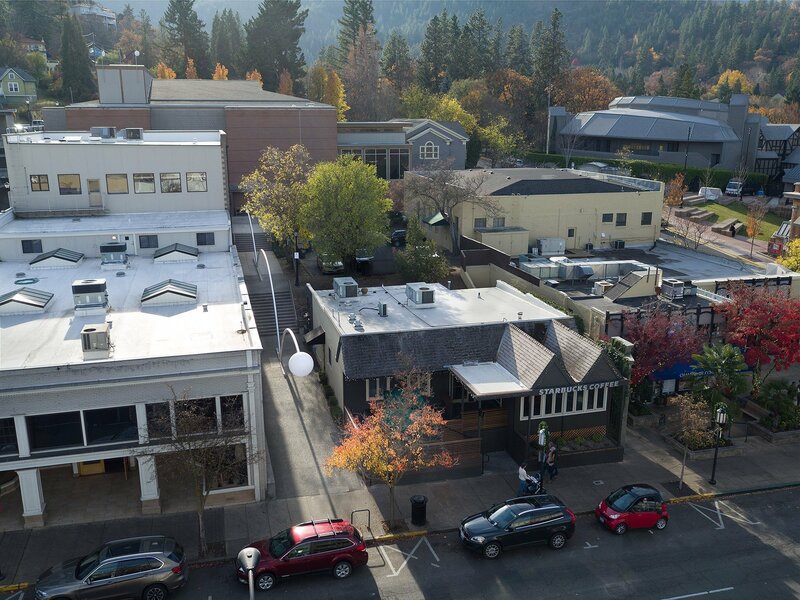 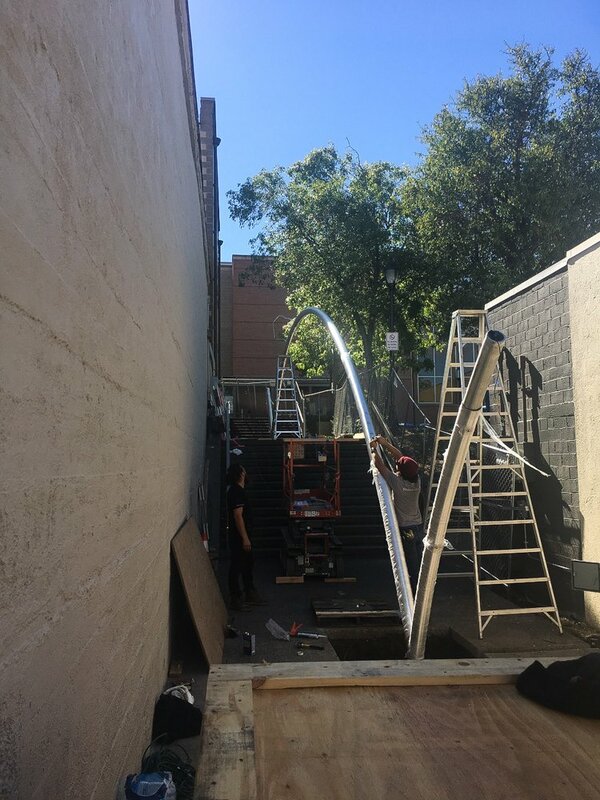 It is this town’s theatrical background that inspired Gordon’s concept for Velocity, a piece intended to display the importance of a course of movements or sequence of motions as being a fundamental element in the performing arts.